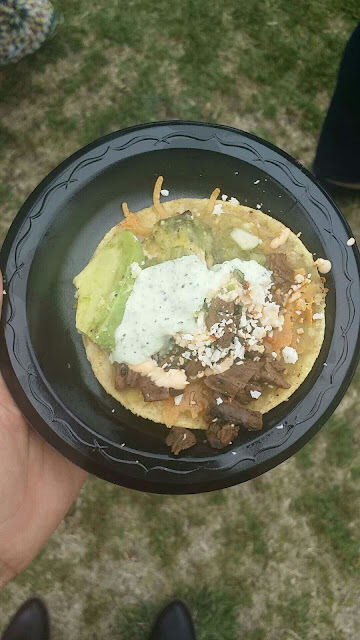 This past weekend I got to attend the Tacotopia event at Golden Hill Park in Sand Diego. 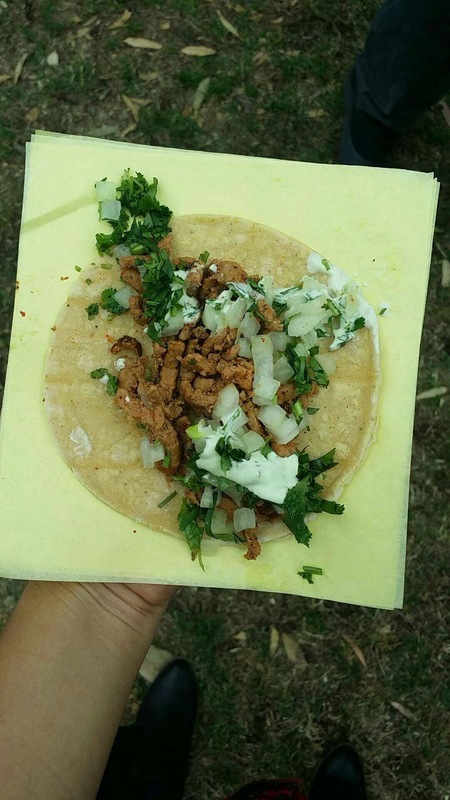 to give you a signature taste of their own unique taco version. I mean talk about the jack pot of taco heaven. 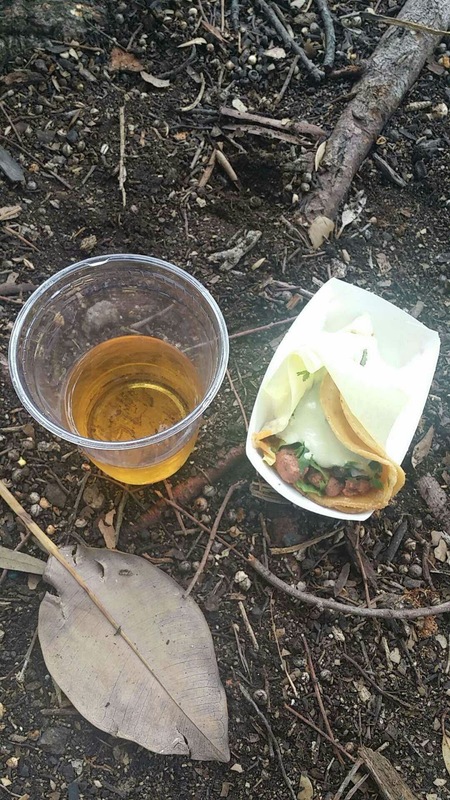 There was literally taco vendors everywhere and I din't know where to start, but I found myself slowly creeping up to the Got Milk? stand. 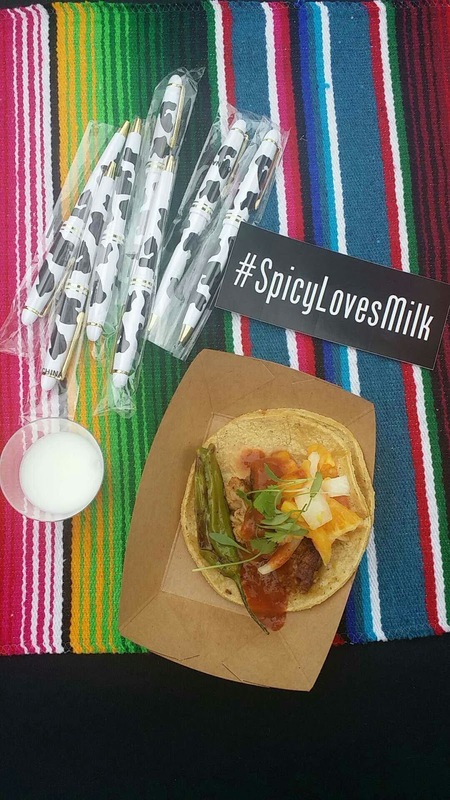 "Spicy Loves Milk" incorporated a healthier and spicier taco with milk pairing. It may sound weird at first, but once you a sample the blazing pork belly blossom with a shot of milk. It made a whole lot of sense as to what chef Michael Ruffner wanted you to experience. 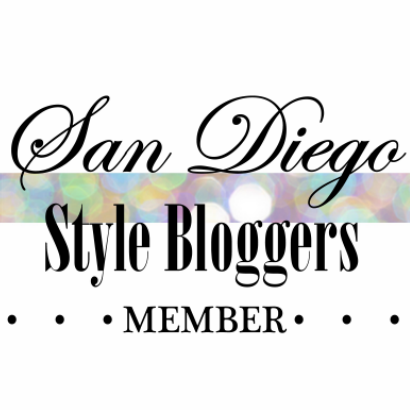 couldn't have been more perfect," said Steve James. 1lb pork belly 2tbsp paprika, 1 tbsp salt, 1/2 tsp ground black pepper, 1/8 tsp ground cayenne, 1/8 tsp ground allspice, 4 oz. cola soda. 1 navel orange, 1 cara cara orange, 1 oro blanco or pink grapefruit, 1/2 medium jimaca, 1/2 medium tomato, 1/2 onion (diced), 1 tbsp chopped cilantro, 1/2 tbsp sriracha, 1/8 tsp salt. 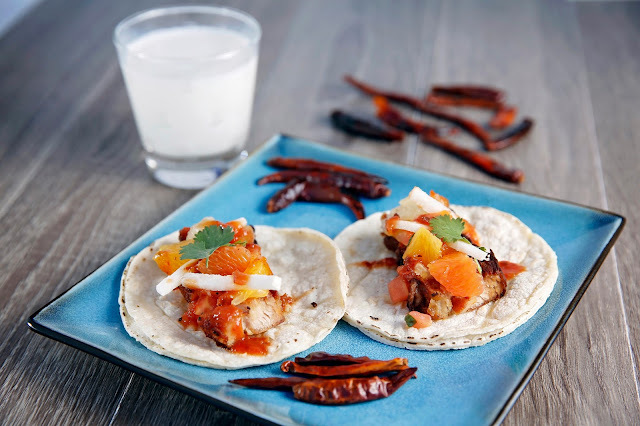 8-12 dried chile arbol or japonesk, 3 ripe beefsteak tomatoes, 1 medium onion, 3 cloves of garlic, 1/2 bunch of cilantro, 1 cup of orange juice reduced down to 1/3 cup, 1 tbsp salt. For all the spicy taco recipes created exclusively for got milk?